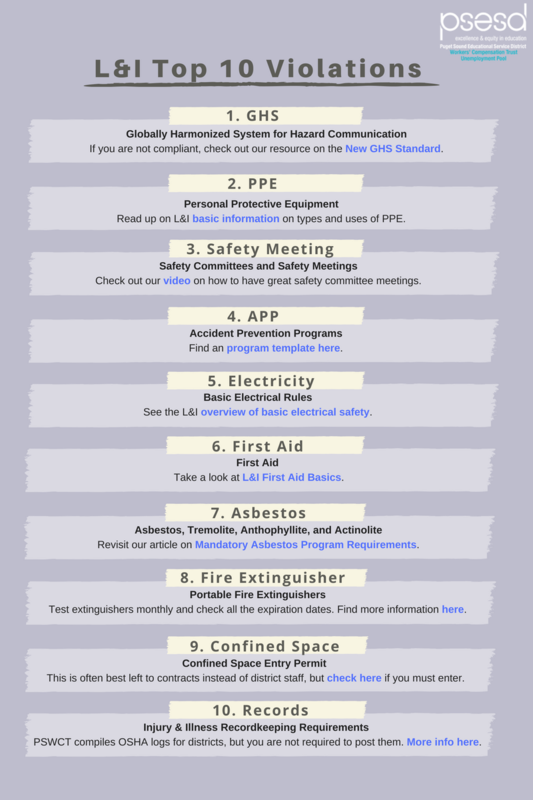 The Washington State Department of Labor & Industries (L&I) recently published their top ten rule violations, which are the most common safety and health rules cited during L&I inspections. You may find the results surprising or a bit worrisome. Please know that your PSWCT Loss Control team is available to help districts use this information to strengthen workplace safety programs and prevent costly injuries and illnesses.